Created for use with charcoal, electric, propane or natural gas BBQ grills. 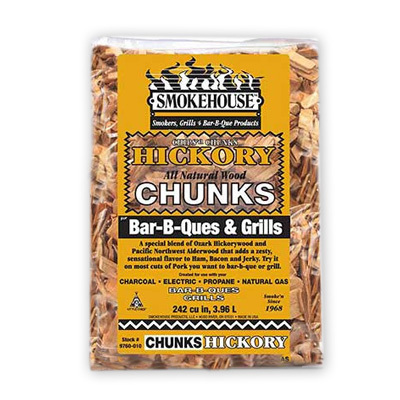 A special blend of Ozark Hickorywood and Pacific Northwest Alderwood that adds a zesty sensational flavor to Ham, Bacon and Jerky. Try it on most cuts of pork.